Jane Heller is the author of both fiction and non-fiction and has kindly agreed to answer a few of my questions. I never dreamed of becoming a writer. I worked as a publicist for several New York publishing houses, promoting bestselling authors from Stephen King to Danielle Steel, and even over that ten-year period I never thought of doing any writing, other than press releases and marketing brochures. I was happy being behind the scenes, getting authors reviews and pitching them to talk shows, besides which I saw up close how hard a job being an author can be. But at some point I got an idea for a story and sat down to write it. It was as simple as that. I didn't tell anyone I had started writing. I was unsure of myself and knew that people in the book industry regarded me as Jane Heller, Publicity Director, and probably wouldn't take me seriously as a writer. But the stock market had crashed and houses were going into foreclosure and the country was heading into a recession and I got an idea for a comedy. It was about a pampered woman whose husband dumps her and her bank tells her she's about to lose her house and go broke, so - since she's a neat freak - she becomes a maid to pay her bills. When her employer is murdered, she's named as a suspect in the case, even as she's falling in love for the first time in her life. I started writing at night. By the time I'd written 200 pages, I decided it was time to show the material to a literary agent and see if it was any good. The agent loved it and got me a three-book contract. I was so thrilled, as you can imagine. That first novel, Cha Cha Cha, was translated around the world and optioned for a TV movie. It has just been retitled Clean Sweep for the new ebook edition. You've published many books but do you have a favorite? I would say that my ninth novel, The Secret Ingredient, which is a comedy about a woman who secretly gives her husband an "herbal potion" to try to reignite their marriage, was the most fun to write. That book, as well as my third novel, Infernal Affairs, both use elements of fantasy and I just had a blast letting my imagination go wild. I also think women really relate to Elizabeth, the heroine of The Secret Ingredient. She loves her husband, but is feeling as if he doesn't pay attention to her the way he did when they were first dating. It's about how there's such an adrenaline rush when we first fall in love and how unrealistic it is to expect that level of excitement to continue throughout a marriage. How about a favourite character? I have a favorite hero, I must admit. It's Terry Hollenbeck in my fifth novel, Crystal Clear. I fell madly in love with him. The story is about a New York workaholic accountant named Crystal, who takes a much-needed vacation in Sedona, Arizona, where she runs into the ex-husband she hadn't seen in ten years: Terry. He'd been her first love but they married young and though he was charming and funny and adorable, he didn't want to grow up, didn't take responsibility, didn't stay at any job long enough to begin a career. Crystal got tired of being the breadwinner and divorced him. Now, ten year later and engaged to a lawyer, she has an unexpected reunion with Terry, who's become everything she ever wanted him to be. He owns a business. He's raising a daughter as a single father. He's well regarded in the community. And he's still gorgeous! In the scene where Crystal has to decide whether to go back to New York or stay with Terry in Arizona (I won't spoil it, I promise), Terry's words make me cry. Seriously! I'm inspired by ideas. My novels are high-concept comedies, which means that I think of funny setups - what-if situations that lead to twists and turns for the characters along the way. I'll read a magazine or newspaper article or even somebody's tweet or Facebook post and think, Now that could be a funny novel. Or maybe the setup will come from my own experience or that of a friend. My novel, Princess Charming, about three best friends who take a Caribbean cruise together, was inspired by one of the authors I used to promote, John Jakes. He and his wife are big fans of cruises and he said to me, "Write about a cruise ship. Cruises are great material." My novel, Sis Boom Bah, about two squabbling sisters who vow to bury the hatchet when their mom has a heart attack, only to both fall for her cardiologist, came about after I kept reading articles about sisters who don't speak to each other. 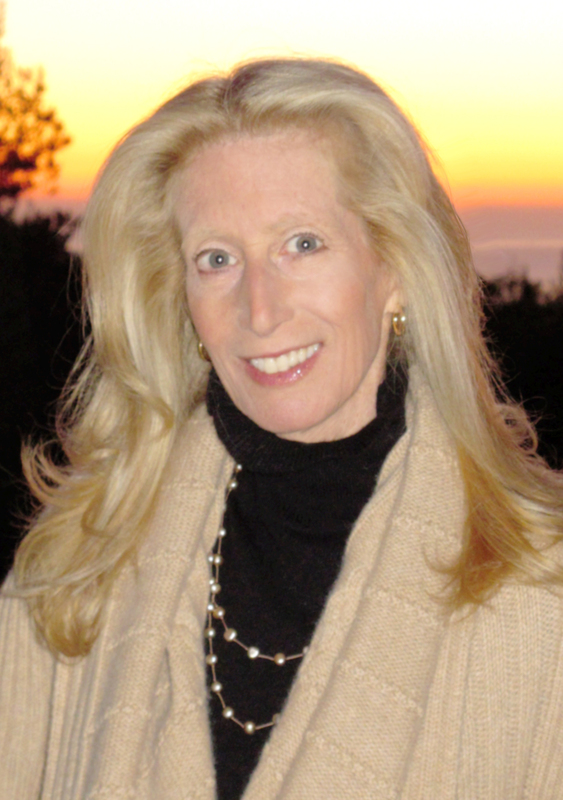 My novel, Name Dropping, was inspired by my agent, whose name is Ellen Levine. When I met her I said, "Isn't there another Ellen Levine who's the editor of Good Housekeeping magazine?" She said, "Yes, and we always get each other's mail and phone calls and our identities get mixed up." So Name Dropping is about two women named Nancy Stern who live in the same New York City apartment building and whose identities get very, very mixed up. My advice is always the same: just write. Don't talk about how you're going to write. Don't think about how you're going to write. Just sit down and start. And don't try to project too far into the future. Forget about whether you'll get an agent or a publisher or whether the book will be a bestseller. Take it one sentence at a time, then a paragraph, then a chapter - in small bites. Before you know it, you'll have the whole meal. I've had several. The first was getting published at all. I couldn't believe I'd be "an author." It still amazes me. The next best thing was when I made the national bestseller lists here in the U.S. with Name Dropping, which gave me the confidence to keep going and know that I had an audience eager for the next one. And then there was my first movie sale, which was for Infernal Affairs. Ellen DeGeneres was supposed to star in the movie, but it never got produced. Eight more books have been sold for movies and I'm still waiting to see one on the screen, but that first phone call from L.A. was very exciting. Best of all has been the mail from readers of the books. I hear from women of all types - young, old, single, married, kids, no kids, you name it. They all say my stories entertained them and helped them escape from their daily grind. I still remember one letter in particular. It was from a woman with cancer. She stopped at her local bookstore one Friday and said to the clerk, "Give me some books that will take my mind off the chemo I'm having later today. I know I'll be in for a rough weekend." The clerk handed her some of my novels and said, "Read a Jane Heller. You'll feel better." This woman wrote to me, "You didn't cure my cancer, but you sure got me through a bad weekend and for that I'll always be grateful." I'm the grateful one. Letters like hers are the real reason I keep writing. I'm working on a new novel, but I'm also promoting my new book, which comes out in November. It's nonfiction and it's called You'd Better Not Die or I'll Kill You: A Caregiver's Survival Guide to Keeping You in Good Health and Good Spirits. It's my personal, often humorous essays about being married to a man with a chronic illness, interviews with other caregivers (some caring for a sick spouse or child, others caring for elderly parents) and advice from experts. I hope it's a cheerful companion for the millions of caregivers around the world. Thank you to Jane Heller for taking the time to answer my questions. Jane's backlist of chick lit books are now available as ebooks.